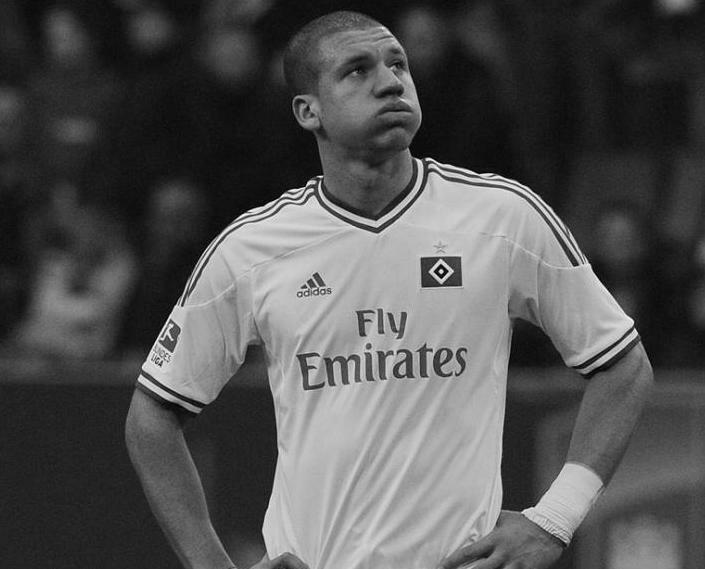 Jeffrey Bruma is one of ‘those’ players - you know the sort - a name you may have heard great things about but not seen much of. He’s a Ravel Morrison, a Danny Pacheco, a Football Manager wonder-kid of some repute, a player you think is on loan somewhere but you’re not quite sure where. Leicester City fans know Bruma, as do Hamburg supporters, but here’s the thing - his contracted club’s die-hard who have watched reserve matches live or on Chelsea TV over the last three years will have seen him, but the average Stamford Bridge fan whose depth of knowledge reaches only as deep as a match-day program? They will know very little of the Dutch international beyond three starts and a handful of substitute appearances a couple of seasons ago. Now when I say that no one should take that as a comment on the depth of knowledge of the average Chelsea fan. It is in fact a reflection of a career that came with a fanfare but has descended into a long-term loan and an uncertain future. Bruma’s Chelsea career may have stuttered and stalled, but that’s not to say he’s not enjoying his football. Bruma came to Chelsea from Feyenoord at the age of 15 with all the usual ‘legend-in-the-making’ tags attached. A centre-back by trade, he ticked all the boxes before kicking a ball – over six-foot, naturally athletic, deceptively strong and quicker than most over twenty-yards – and high hopes were immediately pinned that John Terry’s long-term partner or perhaps successor had been found. He played well in the youth-team and reserves without anything spectacular emerging and duly the requisite League Cup appearance came. A few sporadic flashes of a blue shirt later and Bruma signed an improved contract that sees him on the books at Chelsea until 2014. A loan move was made to Leicester City for more first team experience and his career and Chelsea’s long-term goals for him began to take separate paths. While Bruma has been on the books Chelsea have been in clear and at times dire need of strengthening the heart of their defence. Their response has been to buy David Luiz and Gary Cahill. John Terry requires a long-term successor but that remains a problem for the future and probably not one he is expected to solve. It seems the one-time ‘new JT’ has slipped way down the order and there is a question over whether he can ever be expected to climb back. But that’s isn’t to say Bruma hasn’t been getting on with things - quite nicely at times to boot. He enjoyed an eventful spell at Leicester that included eleven appearances, one penalty conceded, one red card, a shift to midfield and two thirty-yard screamers. He was very public about his ambitions at this point, the loan was to play football - if Chelsea weren’t going to play him in the first team then he wanted another immediately. A certain ex-Chelsea ‘Head Talent Scout’ was listening and Bruma’s career changed direction again. Frank Arnesen, now HSV’s ‘Sporting Director’, had been sidelining in Chelsea’s youth players since moving there in early 2011. Returning to the well once more he structured a loan deal for Bruma that was as near as damn it a full transfer – a full season with an immediate take up on a second year if club and player agreed. There was now two years away from Stamford Bridge for the player to prove his worth to his ‘technical’ employers and potential future ones, a chance that the defender wanted to take with both hands. The 2011/12 season saw Bruma play 22 times for HSV, score vital goals in away games at Stuttgart and Hannover, and get himself back in international squad reckoning where Bruma could establish himself in a position longer-term if he can take his game to the next level. He never quite became a first team regular but he did become an important part of the HSV squad and having had a taste of responsibility, he was quoted in the press several times discussing returning to Chelsea as pointless if he wasn’t going to play. This year he has found himself in a similar position squad wise, his appearances coming as often from the bench as the starting line-up. A specialist centre-back in name, his versatility might well be the thing that holds him back from becoming anything approaching brilliant. As mentioned at Leicester he was moved to midfield, and during his time in Germany he has become a regular deputy at right-back. While versatility is a good thing and managers love the fabled ‘utility player’ (John O’Shea made nearly 400 appearances for Manchester United – we rest our case) it does mean that the man in question rarely becomes exceptional in any one position, Jack of all, master of none etc. There is nothing wrong with this path, it’s just that in nearly all cases it’s one that is decided by outside forces rather than an internal decision by the player. Taking that into account and finding himself out on a long-term loan, still not guaranteed first team football and being played out of position at times, it’s clear there’s a crossroads coming. Chelsea seem unconvinced but open to a return, the player himself has reiterated he will not go back unless there are guarantees made about first team football - something any top line club avoids giving any player, particularly in such an important position on the pitch. A permanent transfer is just as likely then and it may be that Hamburg are his chosen destination, but we can’t help but feel if he stays in Germany he might be settling rather than really trying. The D grade is a reflection of a year that’s been a bit ‘meh’ rather than any doubt in his ability, time to excite rather than merely exist.